He gulped like a fish on land. The movement was like a piston: The mouth opened, the chest rose, the stomach convulsed. And when the doctor came in to check on his consciousness and turned on the microphone to announce that Wood was still sedated, we could hear the sound he was making: a snoring, sucking, similar to when a swimming-pool filter starts taking in air, a louder noise than I can imitate, though I have tried. It was death by apnea. And it went on for an hour and a half. I made a pencil stroke on a pad of paper, each time his mouth opened, and ticked off more than 640, which was not all of them, because the doctor came in at least four times and blocked my view. 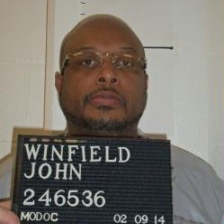 After an hour with Wood still alive, his attorneys called a federal judge, asking him to put a stop to the execution. Judge Neil Wake said he was "very concerned that suspending the execution may do more harm than good," according to a transcript of the call obtained by Andrew Cohen with the Marshall Project. 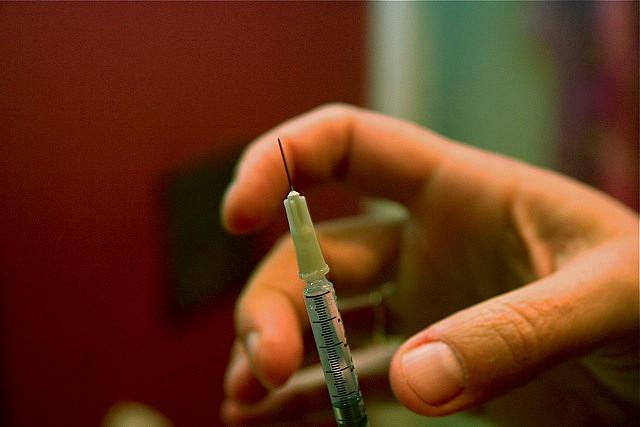 Three of the four botched lethal injections used a drug called midazolam. One of them used pentobarbital, the drug that Missouri uses. The common denominator, though, is secrecy. All of those states attempt to shield the supplier of the drugs from disclosure, a practice that medical experts have argued is dangerous for the inmate. A St. Louis Public Radio investigation revealed in December that Missouri was resorting to a pharmacy that wasn't licensed, at the time, to sell in the state. The pharmacy had also been cited in the past by regulatory agencies. For a while this week, it seemed like Wood's execution might not take place. 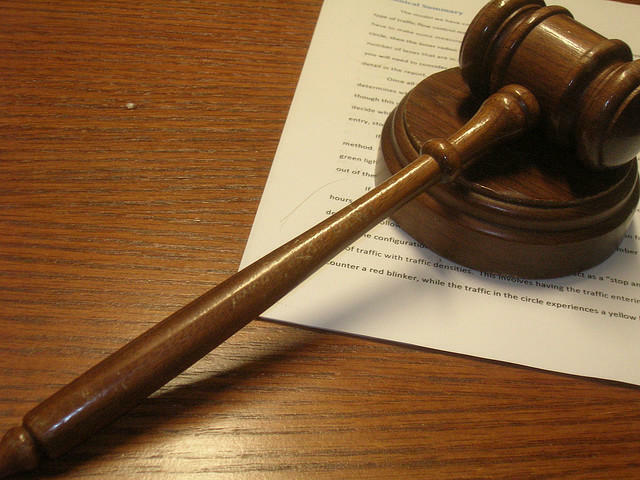 A federal appeals court ruled that information about the drug should be disclosed under the first amendment and the execution should be put on hold. Given the small impact the injunction will have on the state, the importance of First Amendment rights generally, and the critical importance of providing the public with the information it needs to debate the most severe form of punishment that exists, we conclude that the balance of equities tips sharply in Wood’s favor...The recent history in Arizona does not provide a reliable source of data as to its current method of execution, underscoring the need for transparency. In a noteworthy dissent, Judge Alex Kozinksi (an appointee of President Ronald Reagan) criticized lethal injections and advocated for the return to firing squads. The enterprise is flawed. Using drugs meant for individuals with medical needs to carry out executions is a misguided effort to mask the brutality of executions by making them look serene and peaceful — like something any one of us might experience in our final moments. But executions are, in fact, nothing like that. They are brutal, savage events, and nothing the state tries to do can mask that reality. Nor should it. If we as a society want to carry out executions, we should be willing to face the fact that the state is committing a horrendous brutality on our behalf. But the stay wouldn't last. 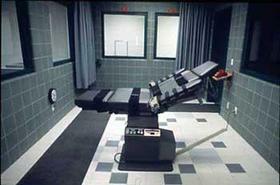 The U.S. Supreme Court removed the impediment, and Arizona was free to attempt its execution yesterday. As Andrew Cohen points out in The Week, the result wasn't surprising. The heart of this story is the dead man, the way he died, and the way his grisly death was so predictable given what we all know about the sorry state of lethal injections in America today. Arizona didn't just experiment on Wood. It experimented on him without ever subjecting its planned experiment to any sort of independent review. Speaking of an independent review, it appears so far that there won't be one for what happened in Arizona. Similar to Oklahoma, Arizona's governor is asking the Department of Corrections to conduct its own review. Gov. Jan Brewer said Wood did not suffer. A spokesperson for the Arizona Attorney General's office went so far as to say it was "quite peaceful." “This is in stark comparison to the gruesome, vicious suffering that he inflicted on his two victims — and the lifetime of suffering he has caused their family,” Brewer said. By many measures, a bullet would be better for the inmate. Amherst law professor Austin Sarat calculates that about 7 percent of lethal injections are botched -- a higher rate than any other method employed since the 19th century. This history of botched executions suggests whatever benefits we think we are bringing when we invent and deploy new execution methods may be illusory. A close look at executions in America suggests that despite our best efforts, pain and potential for error are inseparable from the process through which the state extinguishes life — and that the conversation about capital punishment needs to take that fact into consideration. 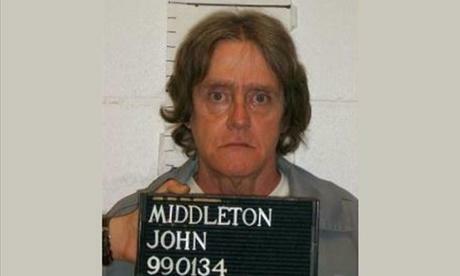 Missouri's next execution is scheduled for Aug. 6. It will be the state's seventh execution this year. Death-row lawyers and other opponents say the nation's third botched execution in six months is more evidence for the courts that lethal injection carries too many risks and amounts to cruel and unusual punishment. Missouri's attorney general says the state should establish its own laboratory to produce chemicals for use in executions rather than rely on an "uneasy cooperation" with medical professionals and pharmaceutical companies.